Anyone watched any good films lately? Would be good to get some more movie discussion going at NGFL. This is like the film equivalent of the 'what have you been playing/listening to' threads. I've watched some excellent films recently. Would be interesting to hear other people's opinions about these too. Come and See is a Russian film set during the occupation of Belarus by the Germans during WW2. It follows a young boy Florya who joins the partisans and witnesses many traumatic events. Given the disturbing subject matter it's not exactly easy viewing this film to say the least but it's important to remember what happened. I'd say it's a must watch. The best war film I've ever seen and not one you forget. One of the writers of the screenplay actually fought with the partisans and the director Elem Klimov went to great lengths to make the film as realistic as possible even using live ammunition during filming. The young actor who plays Florya, Aleksei Kravchenko, gives an incredible performance. He was only 14 when they started filming. Another great one I saw was the German film Stalingrad. Unusually for a WW2 film the events are viewed from the German side. It follows the fate of the German 6th Army during the Battle of Stalingrad. It vividly portrays the horrors endured by both sides. Great performances from the cast especially Dominique Horwitz and Thomas Kretschmann. Highly recommended. The last one I watched was the Hong Kong film Taxi Hunter starring one of my favourite actors Anthony Wong. Wong plays a mild-mannered insurance salesman whose wife is expecting a baby soon. He has a series of run-ins with particularly unpleasant taxi drivers who are violent and extort money. His wife is then killed in an accident caused by a taxi driver's reckless driving. Wong's character is pushed over the edge and he embarks on a killing spree targeting really bad taxi drivers. Excellent film. As a history enthusiast I sponge up everything that has to do with WW1 and 2, so I already heard of Come and See, but haven't had the chance to watch it so far. It's ratings are overall pretty high. There are plenty of others Soviet era war films like Osvobozhdenie or Oni srazhalis za rodinu which are all made with a huge budget and a love for details in terms of equipment, vehicles, etc. The only problems I have with these flicks is that most of them have a political background, as all these motion features were funded and produced by the Soviet Government. The results were sometimes a biased presentation of historical events. And Stalingrad is pretty good, I've watched that film a couple of times on DVD. If you'd like to watch more unpolitical films from the German view of the war, I recommend you watching So weit die F�sse tragen, Hunde wollt ihr ewig leben, Der Stern von Afrika, Cross of Iron , The Eagle has landed or the more famous Der Untergang. As for my recommendation, I only can mention Welcome to Dongmakgol. The plot of this South Korean Comedy-Drama is about a group of North Korean soldiers and a pair of South Korean counterparts which meet at a deserted village in the middle of nowhere. After beginning to realize the madness of the Korean war, they team up together and help the villagers to rebuild a destroyed granary. With the story summarized , I can say it's a masterpiece of Asian cinema with an excellent score written by Joe Hisaishi. I entrust everybody to watch this heart-warming and funny flick. Other top-notch Korean movies are 71 - Into the Fire, TaeGukGi or the for it's crazyness famous OldBoy. Nice, reviving this thread Merlin! One of the saddest movies I've ever seen in my life. Funny thing is, I found out that person who wrote the book "Johnny got his gun " wrote the screen play for two other movies I love ; "Spartacus" and this --not so well known-- movie that I simply adore. Cheesey retro trailer, but the movie is gold. I actually saw "Come and See" last year. "Not an easy viewing" is a major understatement - definitely one of the movies I probably won't be able to bear to watch again without being affected by the movie too much, given how heavy the whole themes are. I agree - I'd vote for this movie to be the best war movie out there, and is probably the most realistic, from the stories I've heard during its filming. Great to see other people posting here too. It's a pity that the thread creator Bojan isn't here to take part too. You seem to have a very wide knowledge of films Murikov. Thanks for the recommendations. I'll try and check some of them out. I've only watched The Eagle Has Landed out of those ones. After doing quite a bit of reading about World War II recently it made me want to check out some good films set during that period. I've just ordered Roman Polanski's 'The Pianist' from Amazon which I've heard a lot of good things about. I've never seen any Korean films before. I'd definitely like to watch Welcome to Dongmakgol. I noticed it gets good reviews on imdb. Not heard of Johnny Got His Gun or The Brave One 2D. This is one of the reasons I like this thread. It's a good way of finding out about great films we might have missed out on. You're right Sukotsuto it's a hard film to watch Come and See especially one scene in particular. Perhaps the disturbing subject matter would put some people off watching it but I think it's important to remember what happened. I think everyone should watch it. film mentions here. Definitely stuff that looks worth checking out. the Thai film 'Shutter' from PSN. I'd always wanted to see it and never got around to it. It was actually pretty good. Although the film borrows HEAVILY from the Nakata's Ring, it was still good enough in it's own right. It's basically Thailands answer to Ring I guess! I thought to bump this thread again a little. I had the chance to watch some excellent flicks the last weeks, most of them being Hong Kong, Japanese or South Korean productions. Somehow I just got tired of watching all that stereotypical Hollywood compost. Especially the stuff from today which is - sorry - a bunch of garbage with a few exceptions. I just entrust to watch that bombastic masterpiece, which is even better than Hard Boiled from my point of view. The leading role Johnny Hallyday (who's a famous singer in France) plays his role fantastically and I think this flick could be also interesting for non-Hong Kong fans. Another pearl from South Korea is Sympathy for Mr. Vengeance from 2002. A VERY disturbing flick (from the same director of Oldboy) about a very tragic complication of several ongoings that almost all end with torture and death. It would take too long to write about all connections and relationships in this movie. I wouldn't say this is a recommended flick to watch with a pregnant girlfriend, but after all it's screenplay and the histrionics performances are excellent. Always good to see this thread being bumped. I hope we can keep this thread alive. Great choice Murikov, the Killer is one of my all-time favourite films that I've watched countless times. One of John Woo's best films I think with a compelling storyline, exciting action scenes and of course a great performance from Chow Yun Fat. The soundtrack by Lowell Lo is excellent too and really adds to the atmosphere of the film. Have you also seen the Better Tomorrow trilogy Murikov? I really love those films. The third film was quite a surprise. I often heard bad things about it and knowing that the film wasn't directed by John Woo, avoided watching it for a long time. When I finally did see ABT3 it really impressed me a lot. An incredible film and IMO every bit as good as the first two. For anyone who hasn't seen it the film is set in Saigon and Hong Kong at the time of the Vietnam war and is a prequel to the first ABT film. Mark Gor flies to Saigon and joins up with his cousin and a local gangster (played by Anita Mui). I haven't seen any of those other ones you mentioned Murikov but they definitely look interesting especially Vengeance. I will definitely need to check that one out since Anthony Wong is one of my favourite actors and I'm also a fan of director Johnnie To. Thanks for letting us know about these Korean films too. I've been working my way through the Harry Potter films recently and really enjoying them. I did read the first three books some time ago but I'm not that much of a reader these days. Harry Potter isn't just for children! The Better Tomorrow films are awesome, John Woo at it's best. I've watched the first two and especially the second one had a great impact on me (the shootout at the end was just mind-blowing). I wish that today's actioners could have the same intensity and reckless action as John Woo's "Heroic Bloodshed" films. I haven't watched the third ABT so far because of the rumors you mentioned of the movie being not so good. After your recommendation I'll definitely catch that up. Speaking of our KoF-loving friend Donnie Yen; apart from his famous Ip-Man movies (of which I have seen the fantastic first one) there are also several other great ones. For example Bodyguards and Assassins from 2009. Quite a political and long flick, but the martial arts scenes alone make it gold. The interesting characters round up the whole action scenes as well. that this scene originates from: SPL, or 'KillZone' here in the west. The scene here pretty much sums it up. One day, Donny Yen pulled some offensive schlep from a car and made him 'full retard' using his a Jann Lee style sekka punch to the face. Story has it that this guy WAS a repeat offender (bad guy) type, and thus 'deserved' it. Donny Yen's character has never forgiven himself for it, and indeed, the event is actually the stuff of legend in the HK Police force. Yen visits his retarded adversary every so often, plays KOF with him, buys him an ice cream, take shim on rides etc to help salve his conscience on a day to day. Moral of the Story: It doesn't matter how much of an absolute douche you are, you will always be able to play KOF... for FREE! of all the Harry Potter films last week with Pt2 of The Deathly Hallows. It was an excellent film throughout and MUCH superior to Pt1. Much. I'd go as far as saying that you only have to watch Pt1 once (ever) and then it can be ignored for the rest of your Potter watching days. But you must still watch it once, just for certain elements of the story. mentioned here, I have seen pretty much all of them, but never Vengeance or White Badge. On the flip side, Sympathy for Mr Vengeance is one of my all time favourite movies and I feel is the strongest of a VERY strong trilogy. I have a boxed trilogy which actually came with an OldBoy hammer... just in case! Yeah, I could spend about a WEEK discussing all the East Asian movies I've watched over the last decade, but I won't! Probably can't remember the names of most of them!! Good to hear you're a fan of the Better Tomorrow series too Murikov. Yes that shoot out at the end of the second film is incredible. Every time I finish watching this film I just have to go back and watch that scene a second time. I'll be interested to know what you think of ABT3 when you've had a chance to watch it. It does tend to divide opinions. I decided to order 'Vengeance' from Amazon since it was incredibly cheap at just over �2. Ninja I wasn't aware of which film that Donnie Yen clip came from I just stumbled on it. Believe it or not I've never watched any of his films before. Seems like you guys and also Bojan are big fans of his. I'll have to check out a few of his films sometime soon. Saw The Deathly Hallows Part 1 yesterday and was pretty impressed with it. Well up to the usual Harry Potter standard and I can't wait to watch the final part. Anyone else watched any good films lately? I'm pretty sure you won't regret buying Vengeance, Merlin. Not at John Woo level yet, but surely a great addition to every HK movie collection. As for other movies, I watched the first part of the Makai Tensho anthology, Samurai Reincarnation, starring the Japanese actor god Sonny Chiba. The whole Makai Tensho universe is based on several events and tales from Japanese mythology and actual history. To some SNK fans it might attract attention, as SNK took many elements and inspirations from these flicks, such as the interpretation of the characters like Jubei Yagyu or Shiro Amakusa. Although some scenes are VERY cheesy by today's standards, I really enjoyed the first movie and I'm looking forward to it's sequels (which two of them are only available in JAP and US). NeoGeoNinja wrote: On the flip side, Sympathy for Mr Vengeance is one of my all time favourite movies and I feel is the strongest of a VERY strong trilogy. I have a boxed trilogy which actually came with an OldBoy hammer... just in case! I just come from watching Sympathy for Lady Vengeance or alias the second part of the Park Chan-wook-Vengeance trilogy. I think it was slightly better than Sympathy for Mr. Vengeance, but overall I agree with you considering the whole trilogy as a masterpiece of cinematic history. Been watching all three movies of the "Hanzo the Razor" triology. Here's a trailer to the first movie "Sword of Justice"... lol "sword" they call it... . I love them. Ultra violence, sexually charged "interrogations", masochism and mystery. The fight scenes are just crazy as hell, talk about hard boiled. For any people with a taste for the strange and for those who are not prudes... this series is a MUST SEE. In my book, simply amazing. As already mentioned in one of my few chat stays, I'd like to post here once more some good movies. At least once in a week I freely watch random HK/CN/JAP and especially ROK flicks, as I'm still disappointed by Western cinematic efforts of nowadays. In general they just get worse by every production so far! However, the motion picture that impressed me the most in the last few weeks was City of Life and Death. It's about the uncomfortable matter of fact, that the Japanese Imperial Army slaughtered hundred thousands of soliders and civilians in the former Chinese capital Nanjing. The story is told by the view of a Japanese soldier, a Chinese child who fights against the invaders and the administration of the Nanjing Safety Zone lead by John Rabe. Some viewers may mark it down as a rip-off of Schindler's List, as the subject is quite similar and the movie was shot in black and white as well. But in my opinion is stands off as a masterpiece for itself with one hell of a strong content and a genius ending. This movie truly wont't leave you untouched after watching it, believe me. Another masterpiece, this time from South Korea, is Memories of Murder. The plot is about a mysterious series of murders in a small town in South Korea, where a bunch of incompetent cops are trying to finding the murderer. Despite it's seriousness in general and the portrayal of South Korea's corrupt society in the 80's, this flick also offers a range of humorous scenes that round up to a memorable motion picture. Very thrilling and enjoyable, gets my seal of approval! To conclude I've got to say that South Korean movies, after all what I've seen so far, deserve my whole attention. I even dare to say they rank up to the world's best movie productions. These movies are usually of f***ing high quality and let Hollywood productions stand in the shadows for good. 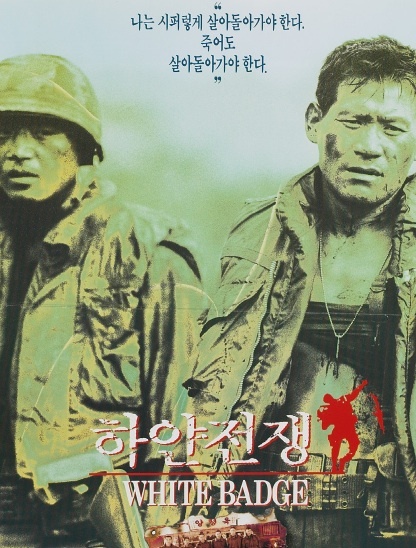 Many of my all-time favorite movies like Oldboy, TaeGukGi or Welcome to Dongmakgol all come from the ROK, that only emphasizes my sympathy for that country's productions. @2D: As a fan of 70's Chambara films like the 'Lone Wolf & Cub' series, I absolutely need to watch the Hanzo trilogy, these look awesome! Thanks for the recommendation! @ Murikov I liked "Old Boy" enough to pick it up on DVD after catching about half of it on a movie channel. Never been a fan of subtitled movies so I never really looked into Asian film other than more popular stuff bye word of mouth etc. I now realize I have been missing out on a lot of good action movies over the years. I found this movie while surfing at about 3AM and thought it had some cool action and better CGI that would have ever expected. It was a fun movie with pretty good production values. Always good to see this thread being revived. Thanks for the recommendations. I'll definitely look into some of them in the future. I hadn't heard of any of those films before. City of Life and Death sounds particularly interesting. I bought a few films on DVD that people had recommended in this thread: The Wild Bunch and Vengeance recommended by 2D and Murikov respectively. Both very good films. Vengeance is an exciting thriller well up to the usual high standards you'd expect from director Johnnie To and Anthony Wong was great as always. When it comes to Westerns I normally just stick to spaghetti ones these days but I'm glad I checked out The Wild Bunch. The story was engaging with great performances from the cast and a memorable final shoot out scene. Here are a few films I watched recently that I'd recommend. Anyone else seen these before? keeper on a remote island. One day a ship appears with a crew of cutthroats led by Jonathan Kongre (Yul Brynner). Will Denton manages to escape but the other two lighthouse keepers are murdered. Kongre and his pirates, having gained control of the lighthouse, become wreckers taking plunder from ships and killing any survivors. Will is able to hide on the island and conducts a cat and mouse one man war against Kongre and his men eventually leading up to a final confrontation with Kongre at the end. Excellent film. A Russian film from 2009 set during and immediately after WW2. It starts off during the battle in Stalingrad following a group of Russian snipers led by Lieutenant Yashin. One of the Russian snipers, a woman involved with Yashin, is killed by the German sniper Karl Kleist. After the war Yashin is stationed in a German town. Unknown to the Russians in a nearby castle there is a secret laboratory guarded by a small German force led by Karl Kleist. You can watch the whole film on Youtube although the English subtitles could be better. I think it wouldn't be a bad idea to rename this forum section 'TV and Film Discussion area'. I'm going to have to watch that. Any movie with Yul in it is worth a look. The photos that guy used to take on set were amazing. He was one of the few true "Holly Wood Movie Stars" who like Dennis Hopper were the definition of "Cool" imho. You have probably seen these already but "The Magnificent Seven" with Brynner was a decent western and "West World" is a must watch for anyone interested in Sci-Fi or Brynner. From what I have read Brynner was chosen for the role in West World after the director saw his character in The Magnificent Seven. His look and mannerism in West World was Sinister perfection. actually been something like 20 years at least since I last saw the Magnificent Seven films! I've heard good things about Westworld but still haven't seen it. It gets mixed reviews but I quite enjoyed 'Cast a Giant Shadow' which also featured both Kirk Douglas and Yul Brynner. My fave Kirk Douglas movie is the original "20,000 Leagues Under the Sea" Movies back then were really something of an art form compared to the movies of today. William Forsythe role as the Sheriff in "The Devils Rejects" gets better every time I see it. He really pulls off the Badass role well, kinda like Stallone in "Get Carter" it just fits where they were in their carrers [ age look etc ] at the time they made the movies. I hope Rob Zombie continues to make more Horror flicks What he has turned out so far is only second to Carpenter who will always the be the master of the genre imho.